After Glee actor Cory Monteith was found dead July 13 in a Vancouver hotel room, fans released an outpouring of support to his co-star and longtime girlfriend, Lea Michele. And in the days and weeks following Monteith's death — the actor passed away following a lethal overdose of alcohol and heroin — Michele had remained silent, with publicists and Glee creator Ryan Murphy releasing statements about how the actress was coping with the tragedy. Though it's the first response from Michele, it's the second response to fans from Michele's camp — after first asking for privacy, the actress' publicist released a statement reaching out to those who had made #PrayForLea a trending topic on Twitter. "Lea is deeply grateful for all the love and support she's received from family, friends, and fans," said the statement "Since Cory's passing, Lea has been grieving alongside his family and making appropriate arrangements with them. They are supporting each other as they endure this profound loss together. 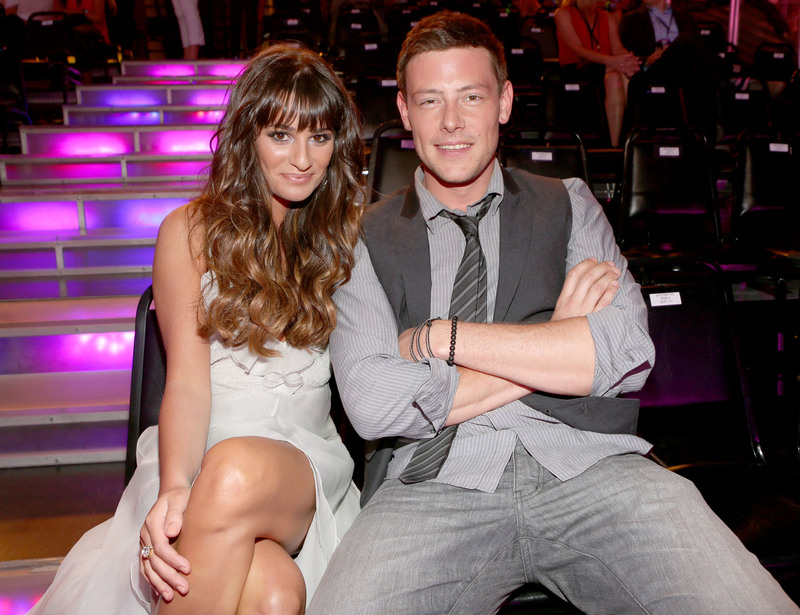 We continue to ask the media to respect the privacy of Lea and Cory's family." And, according to Glee creator Murphy, it seems Michele will continue to pay tribute to the late actor — just over a week ago, the showrunner said the series is depending on creative input from Michele when writing the episode that kills off Monteith's character, Finn Hudson. Said Murphy, "Lea blessed every decision. I told her even I don’t know what to do. I don’t know how to write about the death of someone I love. She wanted people to be together. She and Cory were the young leads of that show, the A story. Lea has been a leader all through this difficult process."